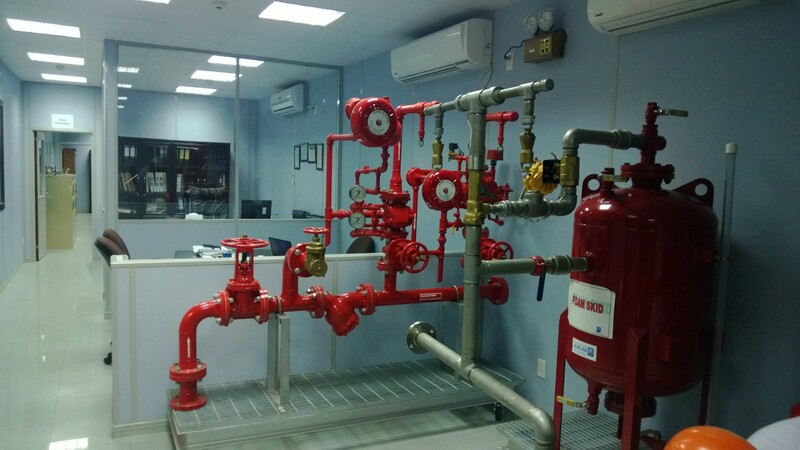 Foam Systems are connected to a water supply through a deluge valve that is opened by the operation of a smoke or heat detection system. Foam is mixed in with the water supply from a foam bladder tank. The detection system is installed in the same area as the sprinklers. When the detection system is activated, foam water discharges through all of the sprinkler heads in the system. Foam deluge systems are used in high hazard areas such as power plants, offshore oil rigs, aircraft hangars, and chemical storage or processing facilities. Any Sprinkler system —wet, dry, deluge, or pre-action—can be adapted to include the injection of AFFF foam concentrate to combat high risks such as flammable fuels and alcohol. 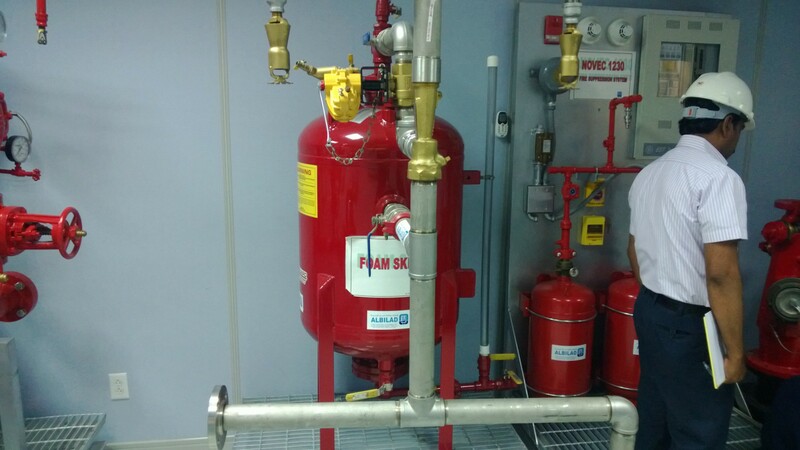 The primary components added to the sprinkler system riser include bladder tanks to hold the foam concentrate, concentrate control valves to isolate the sprinkler system from the concentrate until activation, and proportioners for mixing the appropriate amount of foam concentrate with the system water supply.